Eleven-month-old startup Coinbase announced Tuesday the largest funding round to date for a Bitcoin startup, a $5 million investment led by Union Square Ventures. 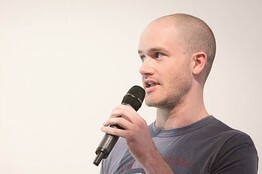 In an exclusive interview with The Wall Street Journal, Coinbase’s founders Fred Ehrsam and Brian Armstrong said the Series A deal–which followed a seed round in September 2012 of $600,000–will help the San Francisco company cover operating costs and hire engineers, designers and business-support staff. “We need 10 people yesterday,” said Ehrsam, a 24-year-old former Goldman Sachs trader. Armstrong, 30, was previously a software engineer at peer-to-peer housing startup Airbnb.